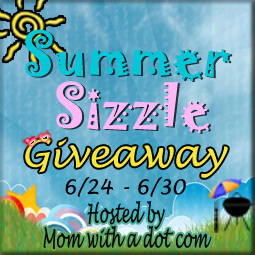 A Year of Jubilee Reviews is excited to have Protein Bakery as the Sponsor for Summer Sizzle. 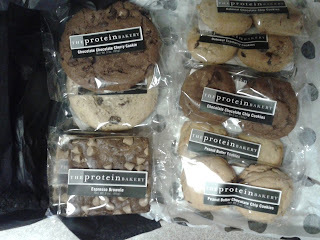 Don't miss out on those great sweet treats this summer, just make sure to pick up some from Protein Bakery!! espresso brownie with cappuccino chips. I would love to try the black and white brownies! I'd love to try the blondie assortment! I'd love to try the Chocolate Chocolate White Chocolate Chip cookies! I would love to try the espresso brownie with cappuccino chips! Oh my gosh!!! They all sound so good!!! I think the expresso brownie with cappuccino chips sounds amazing! I've never tried a blondie so I think I would like to try the chocolate chip one. The coconut walnut chocolate chip brownie looks amazing! Walnut Brownie and Chocolate Chocolate Chip Cookies! I'd like to try the Expresso Brownies. I would like the Coconut Walnut Dark Chocolate Chip Blondie! I would like to try the Chocolate Chocolate Chip Cookies. I'd like to try the oatmeal craberry cookies. Thanks for the chance. I'm in the mood for their espresso brownie with cappuccino chips. I would like to try the "Blondie Assortments." mmmmm... The chocolate Cherry cookie. Yummy!! I would love to try the brownie assortment! I'm too indecisive to pick one lol. The chocolate chip blondie would be awesome!! I would love to try the peanut butter brownies. I judge bakeries by how their Chocolate Oatmeal Cookies taste 'cause they're my favs! I want to try theirs! The black and white brownie looks yummy. I want to try the chocolate chip brownie. The fact that these brownies have protein in them makes it all the much better. I'm a coffee fiend so I'd love to tryhte espresso brownie with cappuccino chips! I would love to try the Brownie Assortment. I would love to try their Walnut Brownies. What product from Protein Bakery would you love to try? I want to try Colossal Trail Mix Cookies. Espresso brownies with cappacino chips!!! The Colossal Trail Mix Cookie. Love the sight for real, for real. I'd love to try the coconut walnut dark chocolate chip blondies as well! the black and white brownies! I really want to try the Black and White Brownie! Would love the black and white Blondie! The Expresso Brownie With Cappuccino Chips. I'd like to try the black and white brownie! I'd like to try the Black and White Blondie. I'd love to trythe Chocolate Chip Oatmeal Cookie Gift Bag! the black and white blondie! I would love to try the Peanut Butter Brownie. I'd like to try the black and white blondie! I'd love to try the Colossal Chocolate Cherry Cookie or the Espresso Brownie with Cappuccino Chips! The Chocolate Chocolate Chip Cookies would be my choice! I would love to try the Black and White Blondie. Thanks! the black and white brownie. The wicked mint brownie look to die for!